Mindshare was created to serve as a technophile haven for networking and the sharing of ideas across a wide range of fields. The monthly event consists of presentations, food, drink, interactive art and music, within the ambiance of a stunning loft outside of downtown LA. A recent addition to the mindshare-labs team, which concocts many of the exhibits and art pieces for the event, I also gave a talk on Social Robotics as part of the May 21, 2009 program. Eric Gradman’s shadowsmoke is pictured above. In May I demoed the Sensate Bear. 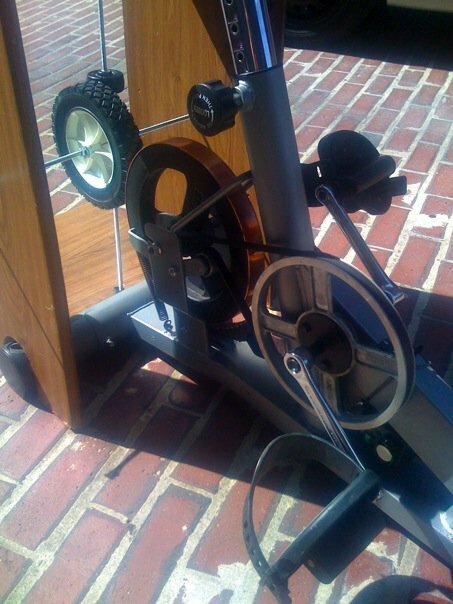 For the June Mindshare, I created a bicycle-powered blender (mechanism pictured below), which will be souped up for future events.